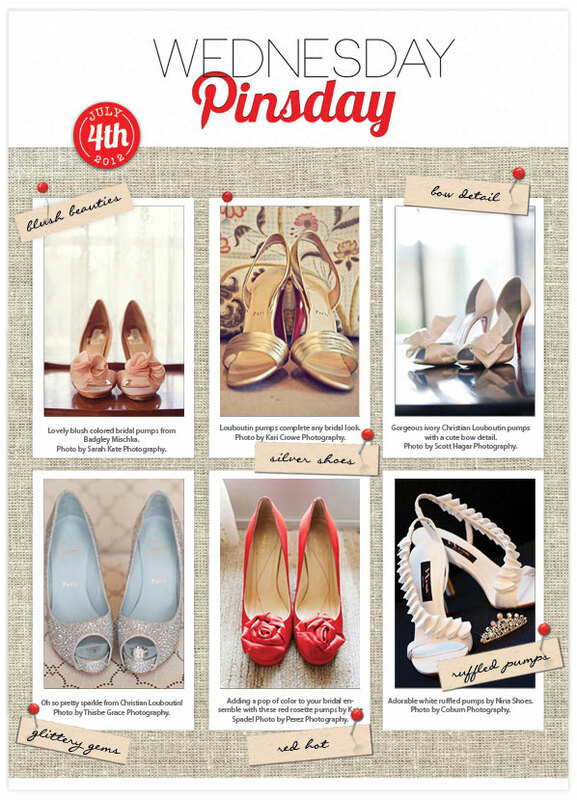 For more fabulous shoe finds, follow us on Pinterest and check out our spectacular shoe board. Cheers! Photos from top left to bottom right: Sarah Kate, Photographer, Kari Crowe Photography, Scott Hagar Photography, Thisbe Grace Photography, Perez Photography, Coburn Photography.